It is with maximum market accessibility in mind that Tratok enters in agreement with Komodo's Barterdex decentralized exchange. LONDON, November 13, 2018	(Newswire.com) - It is with maximum market accessibility in mind that Tratok enters into an agreement to list with Komodo’s Barterdex decentralized exchange. With already over 100 supported coins and tokens signed up in the Beta phase and an official launch scheduled for the end of 2018, Barterdex allows Tratok users the possibility to easily buy and sell tokens using atomic swap technology. 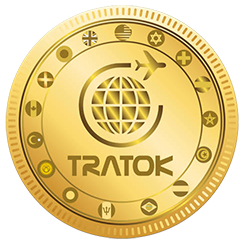 Unlike traditional Cryptocurrencies, Tratok is not speculative in nature but has the vocation to act as a real currency, to buy real products and services across the travel industry. As such, the need for an exchange is not for trading as one would for gold or sugar, but to allow users, and businesses a quick and cost-effective way to buy or sell Tratok, necessary for their day to day transactions. 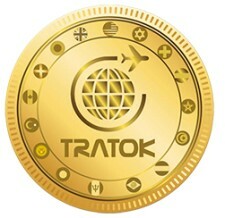 With already tens of thousands of Tratok holders spread-out globally and two successful airdrops, Tratok has already built a vibrant community of token holders, people who believe in the vision and who are not afraid to demonstrate that belief by investing in the token even before the launch of the platform or listing of properties and services. Following Mercatox, Barterdex is only the latest exchange to list Tratok. With the Tratok project currently eight months ahead of schedule, the team is currently in active discussions with first and second tier exchanges internationally to maximise accessibility to the token.